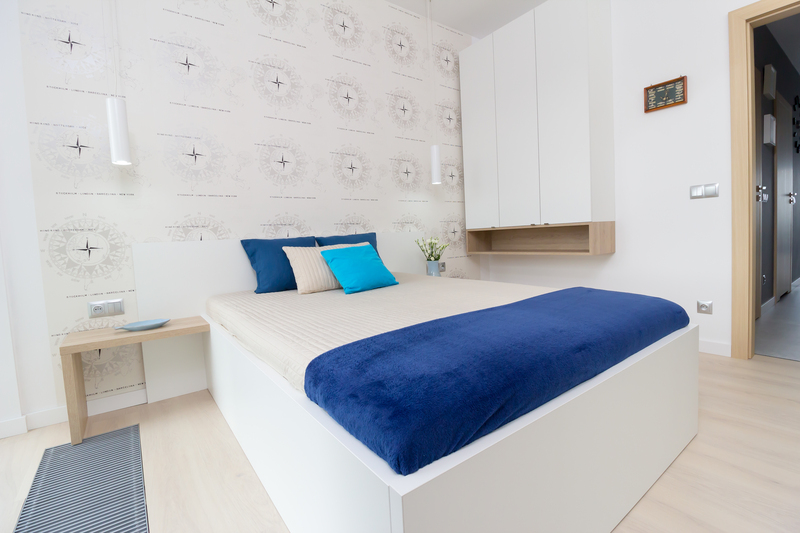 The 10th floor (level 1 of the apartment) includes a large bedroom with a king-size bed, two bedside tables and a wall-mounted shelf. The wide wardrobe placed opposite the bed will easily host the entire wardrobe brought by the guests. 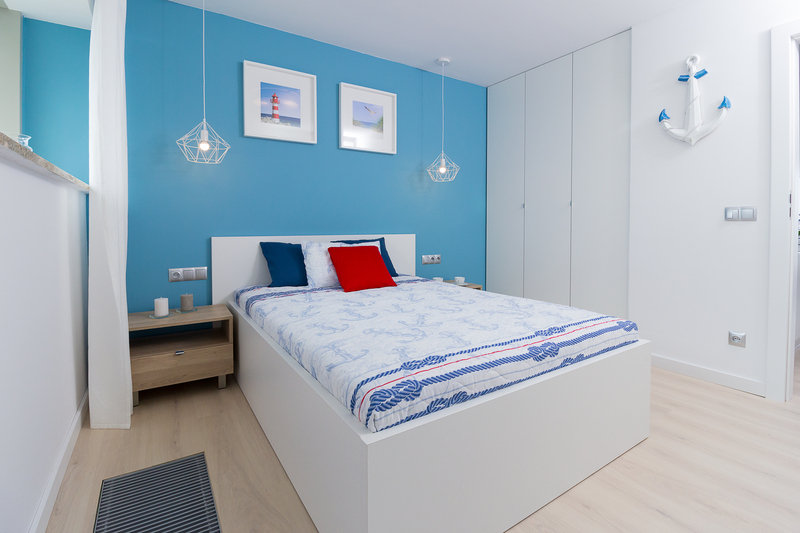 The marine yet minimalistic style of the room offers a moment of rest after a long stay on the beach. 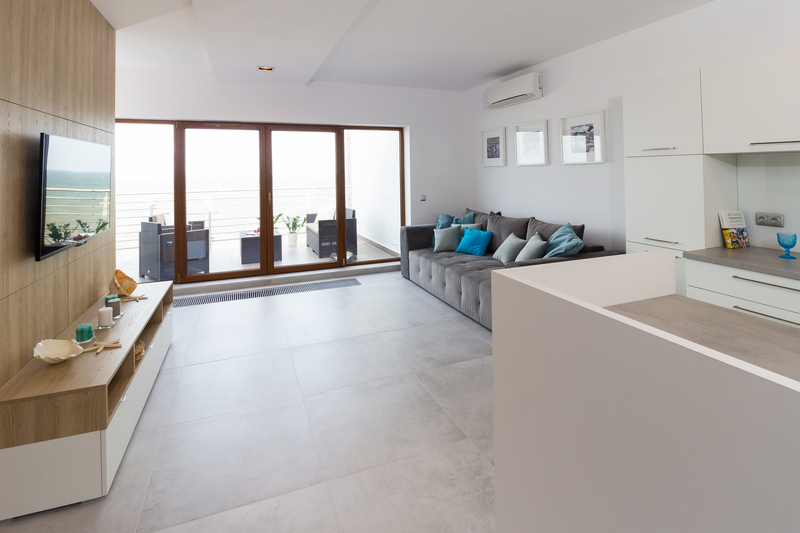 This level hosts a large kitchen with an isle intended for kitchen work, fully equipped and adapted to the requirements and expectations of the customers. 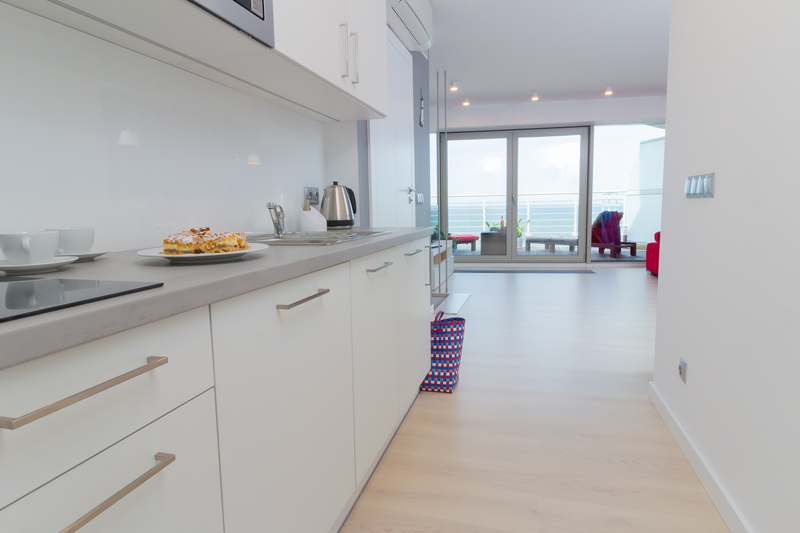 Equipment: dishwasher, induction hob, oven, fridge-freezer, coffee machine, wireless kettle, a full range of household utensils and may useful items which will help you spent wonderful time at the seaside. The kitchen is partially connected to the dinner space and the living room. You will find a large table here, which may be unfolded to host 8 people, as well as a comfortable and cosy leisure sofa which can be used as an extra bedroom bed. For convenience of our guests, we have also taken care of the youngest guests of our apartment, where you can find: a plastic table with chairs, a feeding chair, a cot, plastic dishes and cutlery, as well as a handful of toys for active children playing at home and on the beach. You will also find a TV set and some music equipment making your stay even more pleasant. 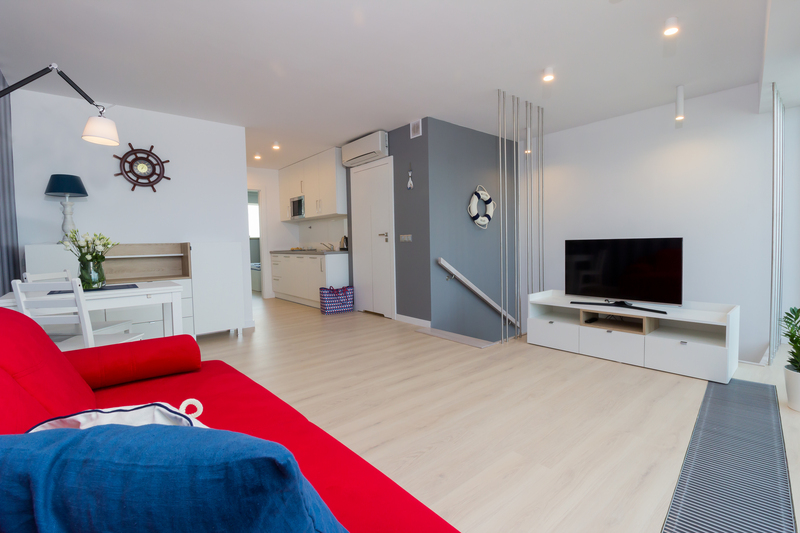 The apartment is also provided with a WiFi router and with a ground digital TV panel operating in German. 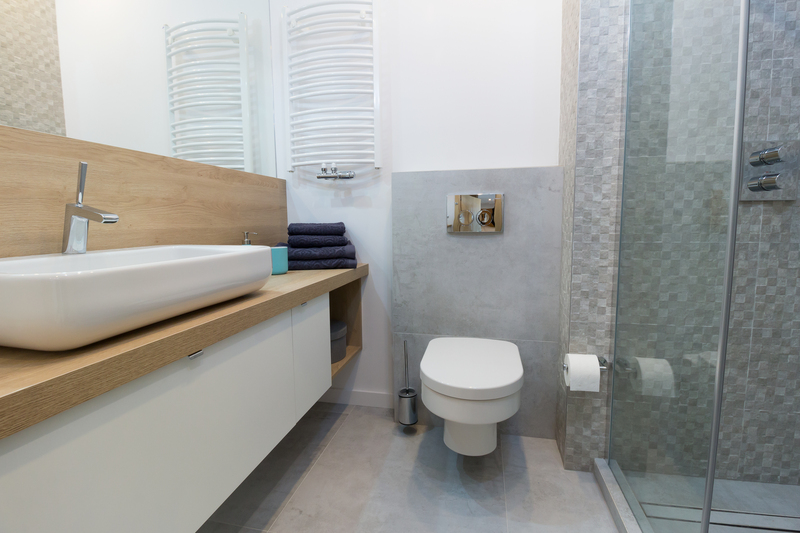 The bathroom on level 1 is provided with a washbasin, a WC, a shower, a shelf with a drawer, a dryer and a rubbish bin. There is also a set of towels available here: 1 large and 1 small towels for 8 people and 1 beach towel. 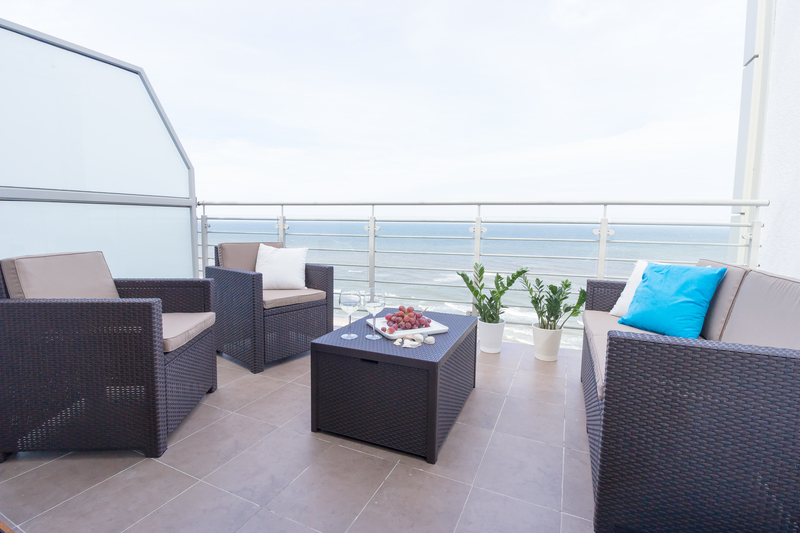 The bottom terrace is equipped with a rattan leisure set which allows comfortable relax at the seaside. 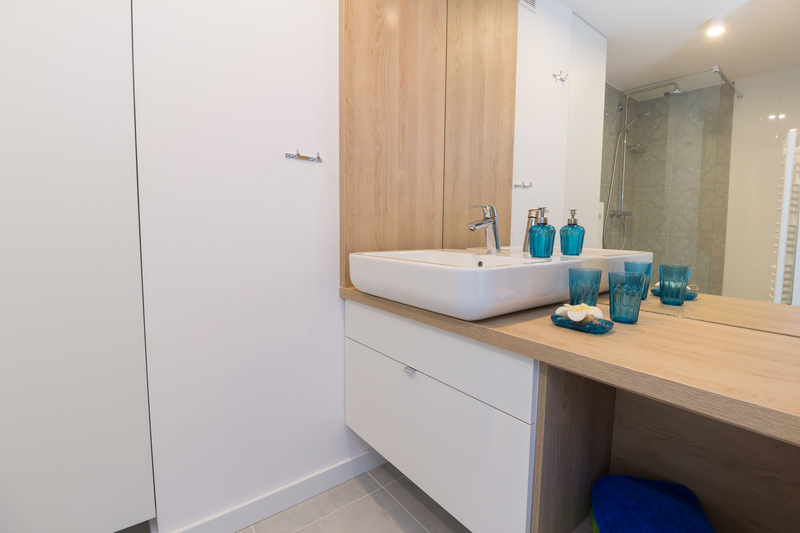 A special utility room has been designed for your convenience and comfort (it replaces a wardrobe), containing the most useful items required during a seaside stay, i.e. 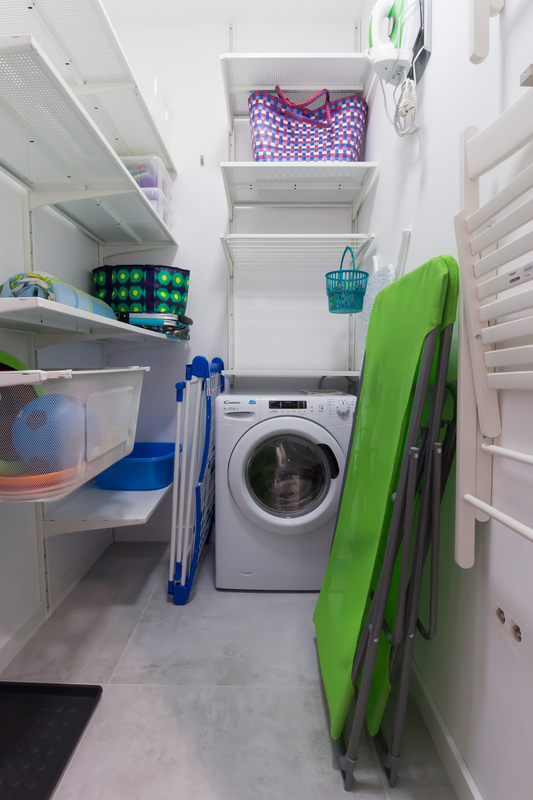 a windbreak, a beach blanket, 2 reclining chairs, 2 chairs, beach baskets, a thermal bag, an iron, an ironing board, an underwear dryer, a washing machine-dryer, cleaning accessories, a vacuum cleaner. 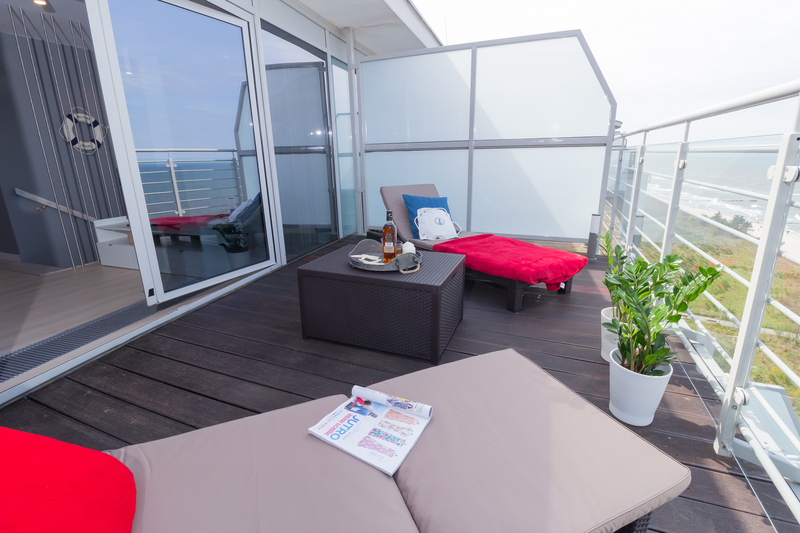 The top part of the apartment is located on the 11th floor, where rest is also comfortable. It hosts a bedroom with a king-size bed, two bedside cupboards and a large wardrobe. 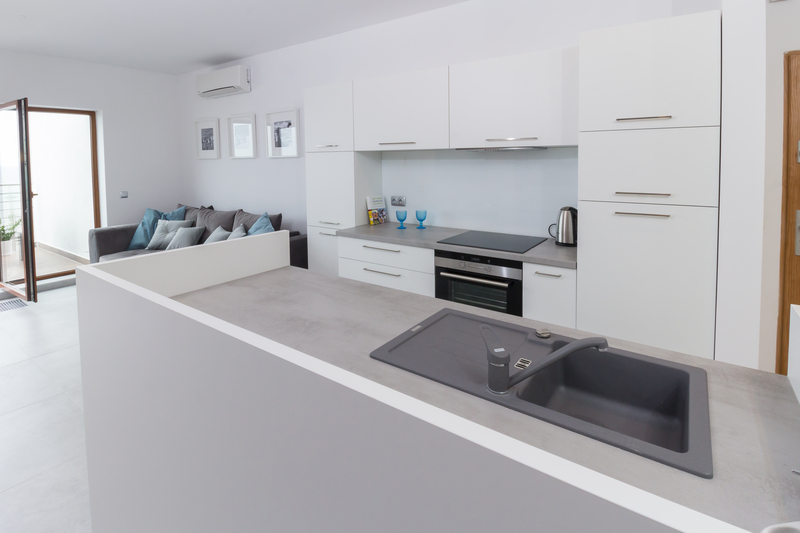 The kitchen annex allows a meal to be prepared conveniently for the guests, it is provided with an induction hob, a microwave oven, a refrigerator, a wireless kettle and with a full set of kitchen utensils, including cutlery, cups and dishes. The living room includes a convertible sofa for two people and a folded table for 4 people. A TV set and a DVD player are located opposite the sofa. All accessories necessary during the stay may be stored in additional chests of drawers. The level 2 bathroom is equipped identically to the one on level 1: with a washbasin, a WC, a shower, a shelf with a drawer, a dryer and a rubbish bin. There is also a set of towels available here: 1 large and 1 small towels for 8 people and 1 beach towel. The terrace offers the opportunity to relax on comfortable, rattan reclining chairs, allowing a little “sloth” to be enjoyed even by the most active of people.